The human foot and ankle share a strong and complex partnership that form the very foundation of our skeletal system. Together, they provide balance and stability. They play a critical role in the distribution of weight. They enable us to walk and run. These important components of mobility are also susceptible to a wide variety of injuries and disorders. 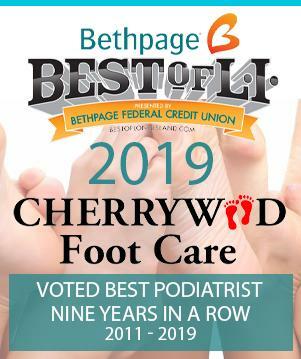 At Cherrywood Foot Care, properly diagnosing and treating all your foot and ankle problems is priority number one. We pride ourselves on our board certified team of foot and ankle experts, our state-of-the-art facility, and our use of the latest, cutting-edge podiatric techniques and equipment.